‘DIVERSITY’ is one of those ‘how much is good enough’ things. It is often recommended that farmers use ‘as much diversity as possible’ in their weed management program to keep a lid on herbicide resistance, but it is difficult to quantify how much diversity will achieve adequate control. Computer models, like the new ‘Diversity’ model, have proven to give reliable predictions of the real-world outcomes likely to result from the implementation of different weed management programs. 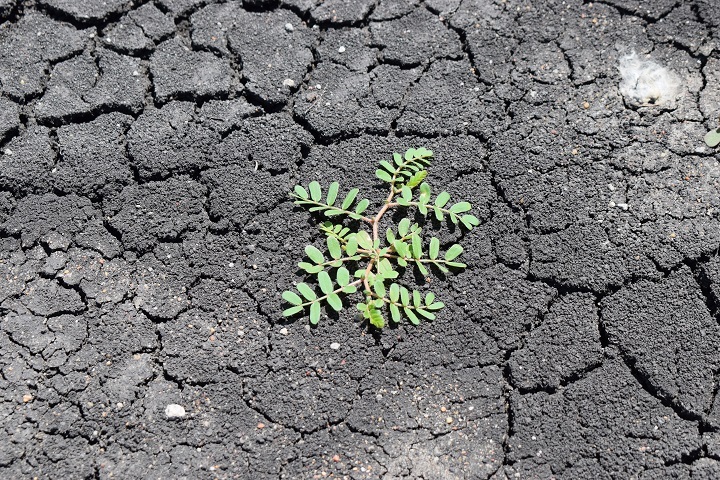 The Diversity model tracks the simultaneous evolution of resistance to multiple herbicides, using multiple genetic pathways, in several weed species at once. With triple-stacked herbicide tolerance traits in genetically modified cotton expected to be available to Australian growers within the next five years, the Australian Cotton Research and Development Corporation has invested in research to determine how much diversity in control tactics is required to protect the effective life of this technology. The model suggests that using more diverse strategies in weed control can add 20 years to the effective ‘life’ of this new herbicide tolerance technology. Modelling repeatedly shows that new technologies must be supported with several other herbicide and non-herbicide tactics and survivor management given the highest priority. Bayer’s XtendFlex technology confers tolerance to glyphosate, dicamba and glufosinate in cotton and was approved for commercial release by The Office of the Gene Technology Regulator in December 2016. Prior to commercial release, extensive work has been underway to understand the system’s fit in the unique Australian environment and to ensure growers will get the most from the technology. XtendFlex cotton varieties are stacked with the Bollgard 3 insect resistance technology, and are expected to provide growers with a robust pest and weed management tool. The concern for weed scientists like Innokas Intellectual Services’ Dr David Thornby is that the triple-stack of herbicide tolerance is already compromised, with glyphosate resistance well-established in several weed species on many cotton farms. 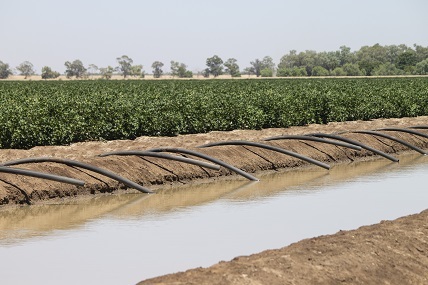 To-date, the problem is greatest in dryland cotton farming systems, but is also quite prevalent in non-crop areas of irrigated farms, such as along irrigation channel banks. 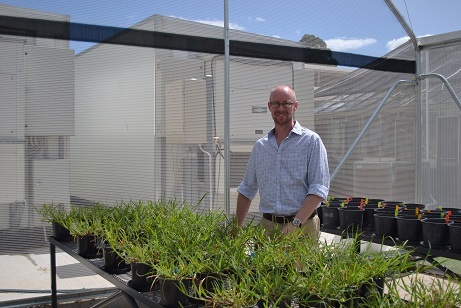 Having previously used computer modelling to assist in the development of the cotton industry 2+2&0 weed control strategy, Dr Thornby has led a team to develop a model to test how many tactics growers will need to implement to achieve effective control of three key weed species – sowthistle, flaxleaf fleabane and awnless barnyard grass – once the XtendFlex technology is adopted. “Real-life experience aligns with the predictions made using the DAF Glyphosate Resistance computer model, with glyphosate resistance being evident in awnless barnyard grass within 13 years of commencing zero tillage, if glyphosate is the only product used for summer weed control and survivors are not controlled,” he said. Using this new model has enabled researchers to test the effect of different weed control programs and scenarios on herbicide resistance in these three, key species, with the aim of prolonging the effective life of the triple-stack herbicide gene technology in irrigated cotton systems. “Using the model we can show that just using the three over-the-top herbicides in triple-stacked cotton crops will lead to a failure of the technology to control awnless barnyard grass within 10 years,” he said. The new Diversity computer model has enabled researchers to test the effect of different weed control programs and scenarios on herbicide resistance in three key weed species, with the aim of prolonging the effective life of the triple-stack herbicide gene technology in irrigated cotton systems. Dr Thornby said if a grower also implemented the 2+2&0 best practice of two other practices – cultural or different herbicide modes of action – in both the crop and fallow, and zero tolerance of survivors, the effective life of the technology to control awnless barnyard grass and sowthistle could be extended to 30 years. “For example, the use of the triple stack partners in a double knock tactic at least some of the time, including a pre-emergent herbicide and chipping survivors is a practical and effective control program to support the over-the-top herbicide options available with XtendFlex,” he said. Dr Thornby said off the three key species studied so far, flaxleaf fleabane was expected to be an on-going problem for cotton growers. Flaxleaf fleabane can germinate over a wide portion of the year, putting strong pressure on pre-emergent herbicides as well. To-date, the Diversity model has only been used to test scenarios in irrigated cotton systems but plans are in place to test-run dryland cotton scenarios ahead of the release of XtendFlex cotton varieties in Australia. The model also has the capability to investigate the effect of including other crops in the rotation to assist with weed control. The bottom line is that the triple-stack herbicide tolerance gene technology will be a useful tool for cotton growers but it is not a stand-alone weed control program. It must be supported with several other herbicide and non-herbicide tactics and survivor management given the highest priority. Dr Thornby said growers should not put off implementing the 2+2&0 strategy in the hope that XtendFlex will fix their weed problems. It is possible to use intensive patch management to reduce the numbers of glyphosate resistant weeds, particularly awnless barnyard grass, and doing so will give growers a better starting point to maximise the effectiveness of the triple-stack herbicide technology when it is released. Dr David Thornby suggests that growers should not put off implementing the 2+2&0 strategy in the hope that XtendFlex cotton varieties will fix their weed problems when the new technology is released in Australia in the next five years.